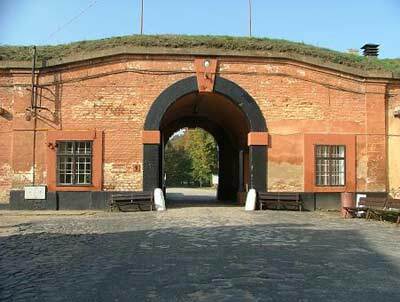 Of the three museums that I went to in Terezín, the one in the small fortress was the one that I found the most powerful and informative. The museum begins with the establishment of the protectorate in 1938 and the internment of Jews, Gypsies and Czech political prisoners. The exhibits then move onto a crueler era beginning in 1940 when the Gestapo took over the prison and the heightened tensions after the Heydrich assassination in 1942. Towards the end of the museum and its chronological exhibits there’s an increasing focus on prisoners from the Czech resistance or the illegal communist party, and their escapes, both failed and successful. The final exhibits deal with liberation, and the trials of the most notorious guards, including some who were allowed to live out their days in relative peace because the West German and Austrian authorities refused to hand them over to Czechoslovakia. The display about the annexation of the Czech borderlands (the so-called Sudetenland) by Nazi Germany when Great Britain, France and Italy decided to appease Mr. Hitler is closely followed by the annexation of the remainder of the Czech lands just six months later. Until 1940, the prison was staffed by government police, but in June 1940 it was taken over by the Nazi special security police, the Gestapo. A predilection for cruelty seems to have been a prerequisite for acceptance into the ranks of the Gestapo and their petty and pointless treatment of the mostly Jewish and Romany prisoners is explained in detail. 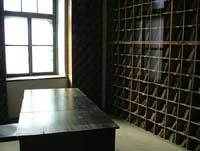 There are displays of both prisoner and guard uniforms, but the photographs of emaciated prisoners steadily being worked to death are the most moving exhibit in this part of the museum. A short section is dedicated to the guards themselves, with photographs and detailed descriptions of the most brutal and notorious. The 1942 assassination of Reichsprotektor Reinhard Heydrich by English-trained Czechoslovakian paratroopers is dealt with in great detail as is the retaliatory annihilation of the village of Lidice by the Nazis. The men of Lidice were rounded up, executed and buried in a mass grave, but the women and children were sent to Terezín to be imprisoned in the small fortress. As the museum progresses there’s an increased focus on Czech political prisoners and the reasons for their imprisonment; the most common being suspected involvement with a Czech resistance group or membership of the outlawed Communist party. There’s a portrait of Milada Horakova and an explanation of the work she did to help the prisoners of Terezín. In this part of the museum there’s also a short film with English and German subtitles with first hand testimony about prison life from some of the survivors. A model of the small fortress with the routes of the three successful escapes is on display and the museum moves onto its final exhibit; liberation. Last minute transports and executions of prisoners are dealt with here including the systematic large-scale cremation of thousands of prisoners. The nearby place where the Nazis attempted to disguise their actions by dumping the ashes into the Ohře River is now a memorial ‘pious place’. The museum deals with some powerful events and you might find it quite draining. Fortunately there’s a nice little park with benches just outside and it’s good to have the opportunity just to sit down for a few minutes when you’re done with the museum.